In 1845 Samuel Slack operated a Temperance House and store on this site. As town librarian, he also operated the town library above the store. 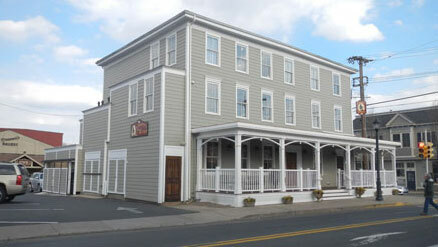 On July 4, 1860 Samuel Slack applied for and was granted a license to operate a Tavern and boarding house under the name “Yardleyville Hotel.” In 1866 the license was transferred to Aaron Slack and the name changed to The Continental Hotel. From the mid 1800’s through the Civil War the building served as a way station on the Underground Railroad. Fire destroyed the property in 1876. 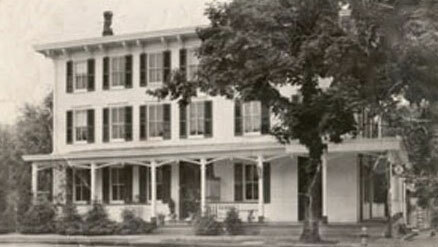 The current building was erected in 1877. As the 19th century rolled into the twentieth, the Continental was a warm friendly place where citizens of Yardley and visitors to the town gathered to relax, discuss the great issues of the day, and enjoy fellowship. 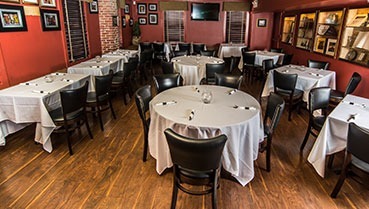 Your hosts are committed to returning the “Continental” to its former charm and grandeur. Recent construction has restored the outdoor porch, the Victorian façade, and the second floor library now known as the Parlor Room. Most importantly, the Tavern has been transformed back to a simpler age when hospitality and warmth were served free of charge, in heaping portions, along with great food and inviting spirits.